Travel contract assignments offer our employees guaranteed work schedules. This provides our staff members with the security of knowing they have a predetermined schedule set directly by the client. How Do I Find The Right Assignment? At ECMStaffing, each employee is assigned a recruiter that will work with them one-on-one to find the perfect travel assignment. During the hiring process, your recruiter will collect detailed information from you regarding the types of contract assignments you’re most interested in working. This is an important step in the process of understanding our employee’s needs, a critical step that is often overlooked by competing healthcare staffing agencies. By taking the time to understand our staff member’s employment desires, inefficiencies are eliminated and valuable time is saved for everyone involved. Why Are Travel Nurses In High Demand? Qualified professionals are a rare commodity in today’s fast paced, ever changing, healthcare marketplace. Healthcare organizations, both large and small, face the same staffing shortage dilemmas nationwide. Staffing deficit issues are often compounded by the high costs of recruiting, screening and hiring the right candidates, employee retention efforts, the geographic locations of rural facilities, fluctuating patient censuses, and State and Federal regulatory requirements. 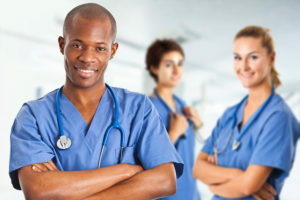 When healthcare organizations, networks, hospitals and related facilities experience staffing shortages, travel nurses are often the first profession called upon. This can vary depending on your nursing specialty and the requirements outlined by the healthcare organization or facility’s job order. Generally, candidates must have at least one year experience and the experience must be recent (within the last 1 – 2 years). Is My Housing Paid For? ECMStaffing does not provide housing for our staff members. However, in lieu of housing we pay increased hourly rates and tax free travel/housing stipends. Travel nursing assignments can vary depending on the needs of the facility. The standard assignment length is 13 weeks, however, it is not uncommon to see job orders posted for periods of 4 – 26 weeks or longer. What Types Of Nurses Are Needed? Every nurse type and specialty are needed for travel contract assignments, including but not limited to: Med/Surg, PCU, Tele, ER, OR, CVOR, ICU, L&D, PACU, Pre-op/Post-op, MB, PP, NICU, PICU, IR, Cath Lab etc. Are There Any Other Perks I Should Know About? Our Company’s success is wholly measured by the happiness of our staff members. Whether you’re considering your first travel assignment or you’re a seasoned traveler, you can rest assured that we will find the contract assignment you’ve been looking for! For more information on available contract assignments, please call 253.475.0695 and a recruiter will be happy to assist you further. What are you waiting for? Join the ECMStaffing team today! Quickly search for the latest contract assignments by location, facility type, and area of expertise! "Emerald City Medical Staffing is a great place to work. There are lots of opportunities for Nurses and when I am available it is easy to schedule a shift. They constantly provide you with a variety of open shifts on a weekly basis. The pay is great as well! The application process is a bit lengthy but once completed the opportunities are endless."